Henry Malfroy (Martigues, 1895 - 1944). 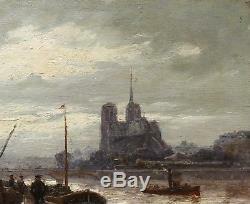 View of our lady from a busy dock, rainy weather. Signed on the lower left henry malfroy. 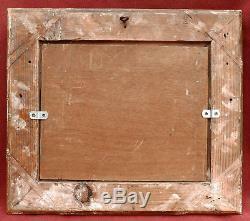 Wooden frame and gilded stucco with regency decoration. 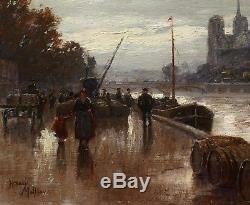 The river seine and our lady after the rain. 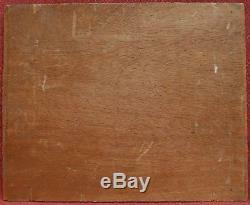 Signed bottom left henry malfroy. French regency style gilt wood and stucco frame. 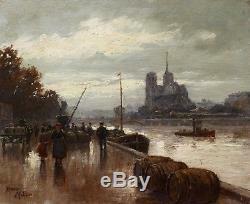 The item "henry malfroy table landscape notre-dame paris quays seine impressionism rain" is on sale since Tuesday, September 18, 2018. 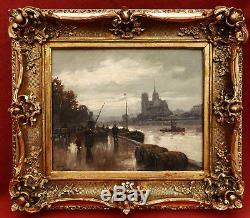 It is in the category "art, antiques \ art of the twentieth, contemporary \ paintings".